Audrey Mothupi is the chief executive officer of the Systemic Logic Group, a global consulting and technology firm with a leading edge in innovation and emergent business strategy. System Logic offers state-of-the-art applied research solutions to clients, ensuring that ideas are generated strategically and implemented innovatively. With her extensive market knowledge, Audrey passionately champions the Systemic Logic business model to deliver solutions that are tailored to the needs of the client, specific to their respective operating environments. She has decisively positioned Systemic Logic Group for its next generation of growth, executing a strong plan that is delivering measurable results to its clients while positioning the company for future growth. She is an independent, non-executive director on the Pick ‘n Pay board, one of the top supermarket chain store in South Africa. Audrey remains a trustee of the Liberty Education Foundation, which is an independent trust focusing on improving South Africa’s education system, with an emphasis on mathematics and science. 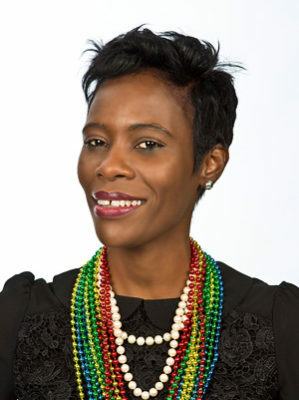 She serves as the chairperson of Orange Babies of South Africa, a non-profit organization focused on the prevention of mother to child transmission of HIV/Aids and the care of Aids orphans and vulnerable children across South Africa, Namibia and Zambia. Audrey is a Fellow of the African Leadership Initiative focused on the progressive development of values-based African leaders, which is part of a wider community of successful entrepreneurs, establishing the Aspen Leadership Network. More recently Audrey was granted honorary membership for academic and leadership excellent from the Golden Key International Honor Society, and named one of Africa’s 1,000 most powerful women by Phenomenal African Woman #PAW10:10. She holds a post graduate Bachelor of Arts degree from Trent University in Canada in addition to personal development courses in corporate finance, customers and consumer analysis, enterprise economics, system dynamics and organizational development. Audrey speaks three languages, namely English, Swahili and German. Audrey is a proud mother of two, 17-year-old, Melita and 12-year-old, Zoya. She has keen interests in reading, hiking, travelling and cooking.